I guess some of you guys are going to say what? 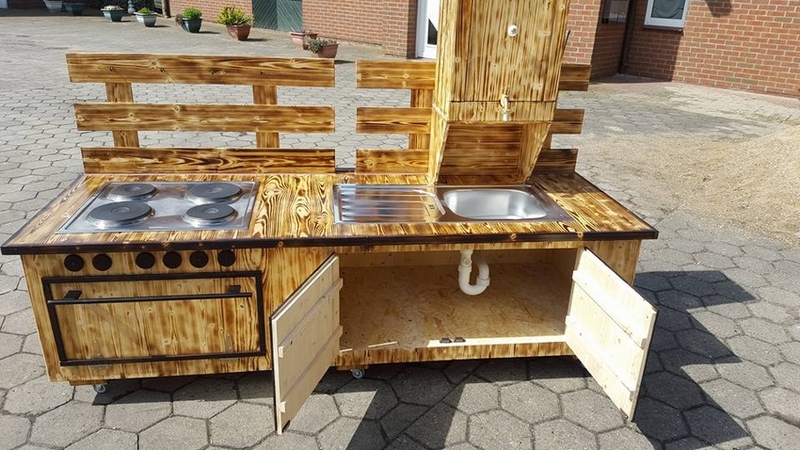 A sink made with the wood pallet? Did I hear it right? Then I would say yes pal you heard it absolutely right. Despite of getting astonished just look on the fact that in how many ways this pallet thing is going to help and serve you guys. 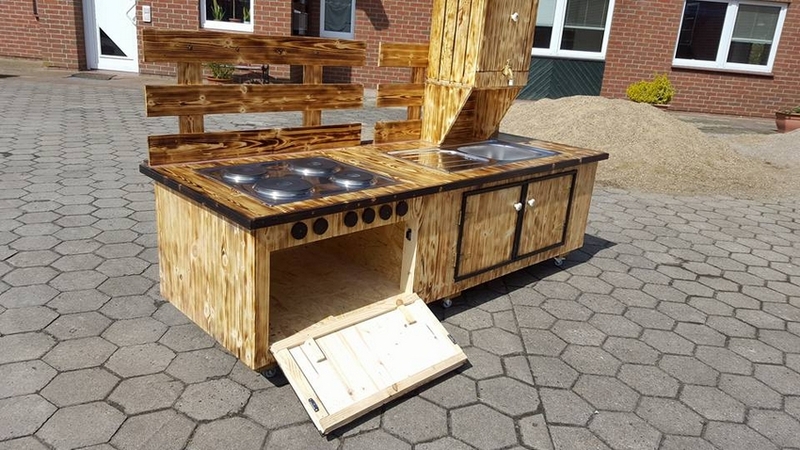 I mean there is no limit to the wood pallet creations, from the furniture to fencing, outdoor, indoor, office furniture, kitchen, bathroom bla bla bla… you just name it. This sink would really make you guys happy with its usefulness and the beauty ofcourse. 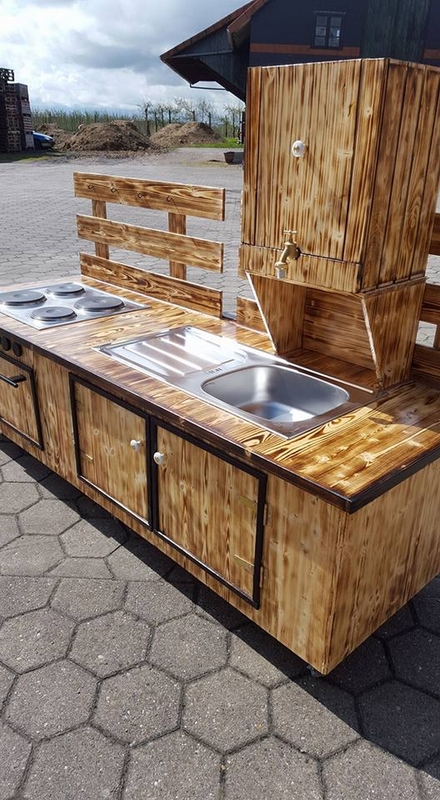 Having the very first look of this wood pallet project we immediately realize that this is not a mere pallet wood made sink but a whole set up for the kitchen where we are having all the things that are crucial for kitchen stuff like it has also got a huge stove with four burners. These four burners are going to make your cooking pretty quick. In the backdrop of the stove and the sink we see proper covering shades that would prevent the things from falling down. Other than that each portion has got some extra large storage cabinets beneath that are certainly a very useful feature. 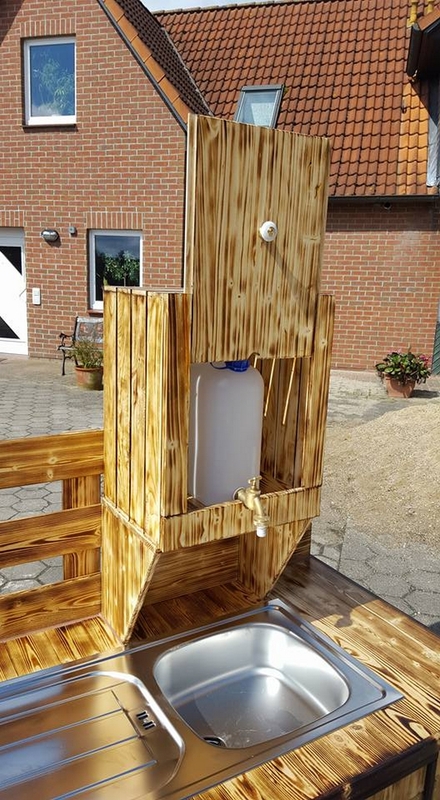 We also see a long chamber made of the wood pallet that is actually made for the hidden water supply where we also see a water tap, that would provide us with the water supply while we are up with washing some utensils. And there is a proper drainage system installed in the lower cabinet for the water supply that would be consumed in the utensil washing process. A proper drain pipe made of plastic is attached to the hole of the sink so that water does not damage the wood. This is the back view of this pallet repurposed kitchen sink. We see there an external pipe that would drain out the water of the sink. 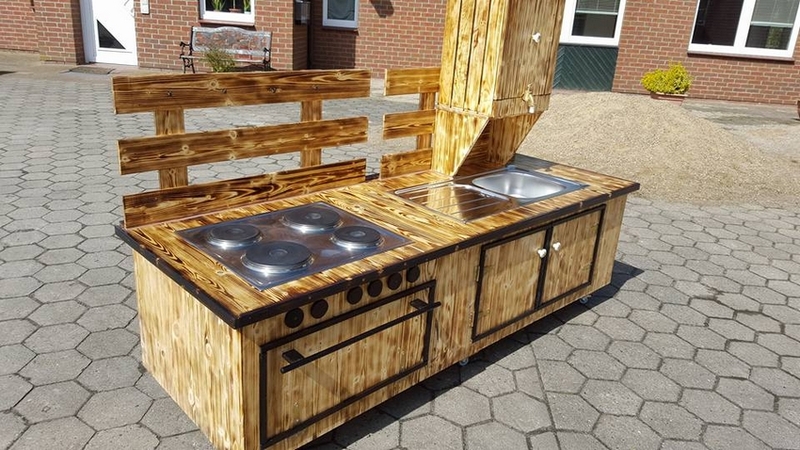 So on the whole this is a splendid kitchen installation that could be used in outdoors while having some party or get together in the patio or garden. 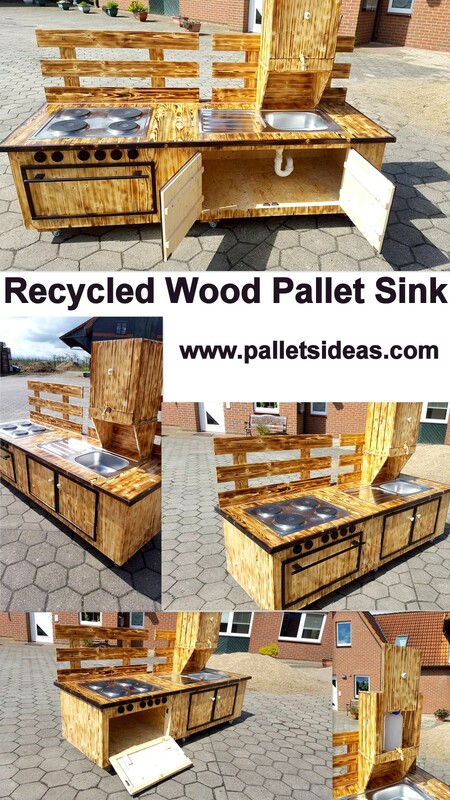 This wood pallet made kitchen sink would be equally good for indoors and outdoors as well. 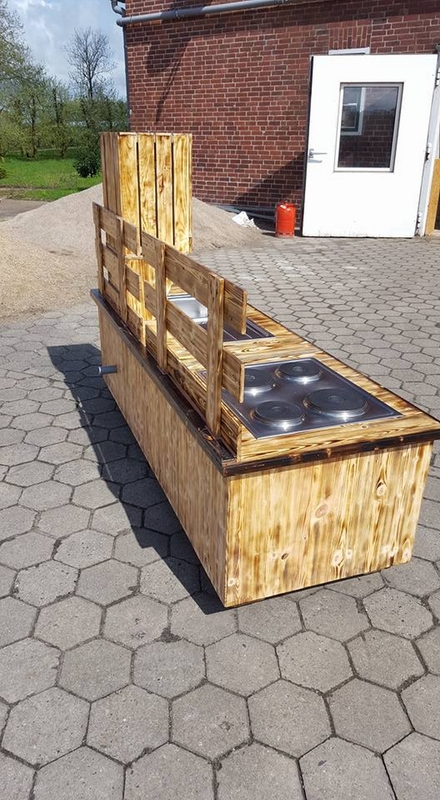 Though a lot of wood pallet supplies are needed but in the end all the efforts and fatigues would be paid off nicely when we would be having such an awesome pallet made sink at our disposal.